2. Bahia Abbas Moussa, Marianne Alphonse Mahrouse, et al. 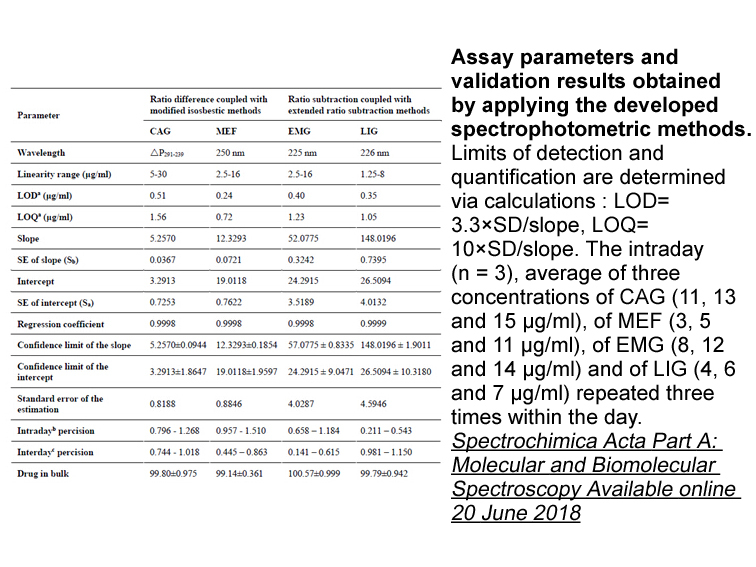 "Different resolution techniques for management of overlapped spectra: Application for the determination of novel co-formulated hypoglycemic drugs in their combined pharmaceutical dosage form." Spectrochimica Acta Part A: Molecular and Biomolecular Spectroscopy Available online 20 June 2018. 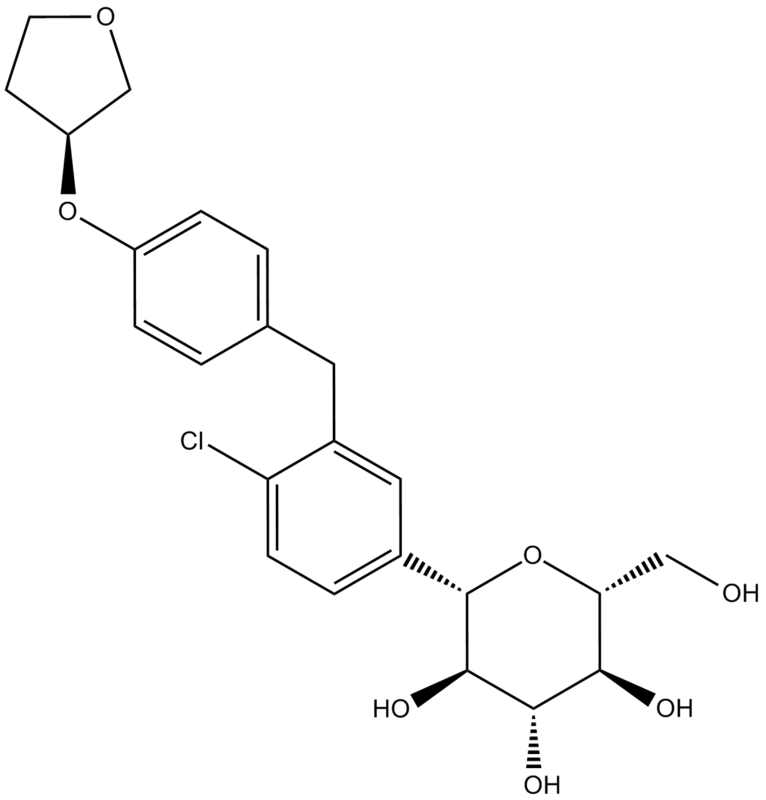 Description Empagliflozin (BI 10773) is a selective, potent and dose-depentent inhibitor of SGLT-2(sodium glucose cotransporter-2) with IC50 values of 3.1 nM, 8300 nM, 11000 nM, 1100 nM and 2000 nM, for SGLT-2,1,4,5 and 6, respectively.
. Panchapakesan, U., et al., Effects of SGLT2 inhibition in human kidney proximal tubular cells--renoprotection in diabetic nephropathy PLoS One, 2013. 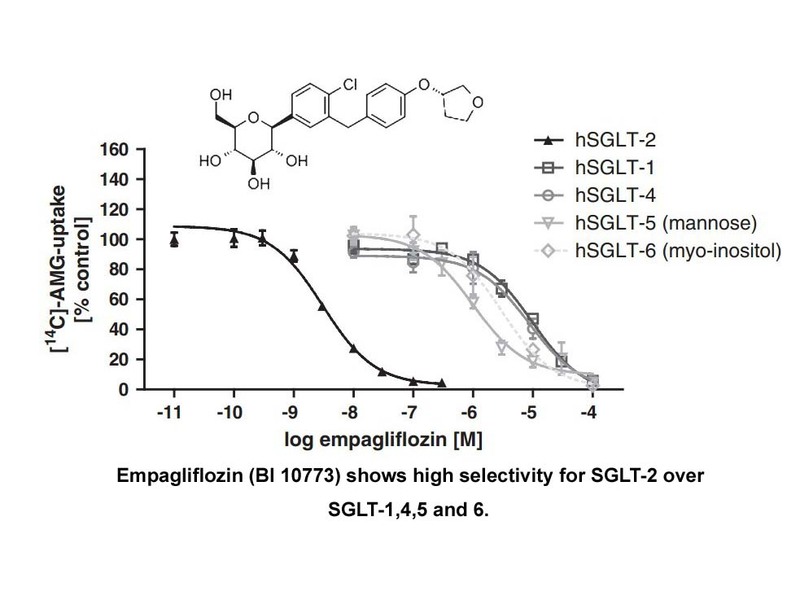 8(2): p. e54442.
. Grempler, R., et al., Empagliflozin, a novel selective sodium glucose cotransporter-2 (SGLT-2) inhibitor: characterisation and comparison with other SGLT-2 inhibitors. Diabetes Obes Metab, 2012. 14(1): p. 83-90.
. Ndefo, U.A., et al., Empagliflozin (Jardiance): A Novel SGLT2 Inhibitor for the Treatment of Type-2 Diabetes. P t, 2015. 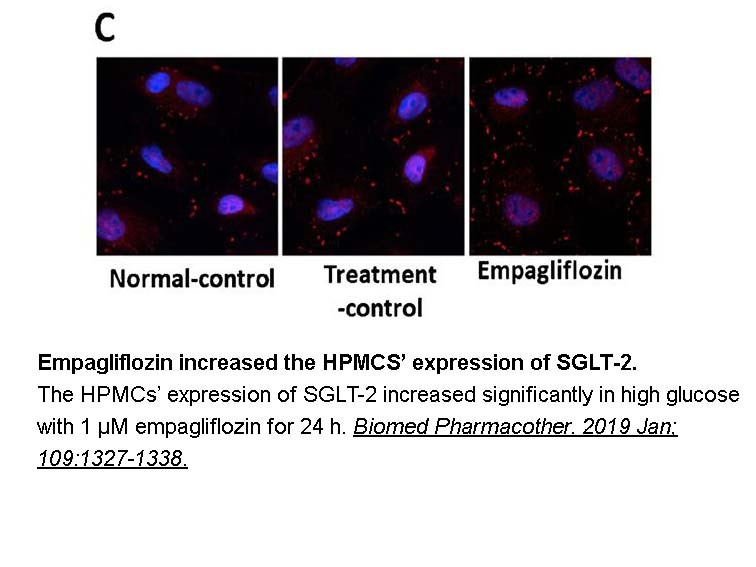 40(6): p. 364-8.
. Thomas, L., et al., Long-term treatment with empagliflozin, a novel, potent and selective SGLT-2 inhibitor, improves glycaemic control and features of metabolic syndrome in diabetic rats. Diabetes Obes Metab, 2012. 14(1): p. 94-6.